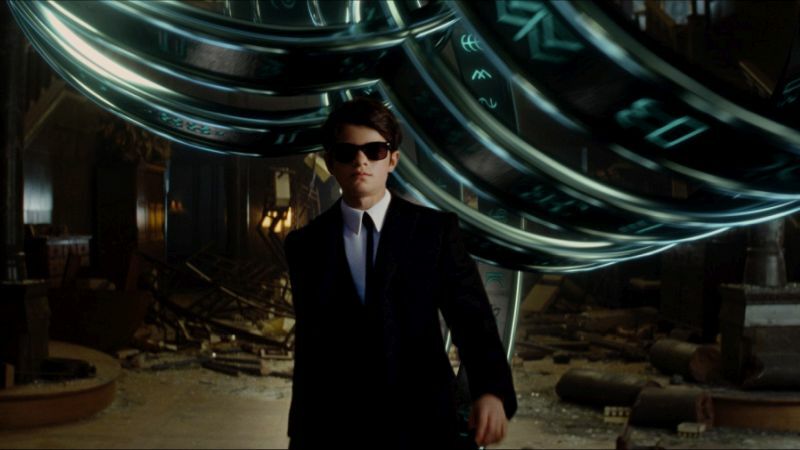 Walt Disney Pictures have released the official teaser trailer for Artemis Fowl, the long awaited adaptation of the young adult book series! Check out the Artemis Fowl teaser trailer in the player below! Disney’s Artemis Fowl, based on the beloved book by Eoin Colfer, is a fantastical, spellbinding adventure that follows the journey of 12-year-old genius Artemis Fowl, a descendant of a long line of criminal masterminds, as he seeks to find his father who has mysteriously disappeared. With the help of his loyal protector Butler, Artemis sets out to find him, and in doing so uncovers an ancient, underground civilization—the amazingly advanced world of fairies. Deducing that his father’s disappearance is somehow connected to the secretive, reclusive fairy world, cunning Artemis concocts a dangerous plan—so dangerous that he ultimately finds himself in a perilous war of wits with the all-powerful fairies. Newcomer Ferdia Shaw plays the title character, with Lara McDonnell (Love, Rosie) playing Captain Holly Short, a feisty, spirited elf, who is kidnapped by Artemis for a ransom of fairy gold. In the underground fairy world of Haven City, Academy Award-winner Dame Judi Dench (Skyfall) plays Commander Root, the leader of the reconnaissance division of the LEPrecon, the fairy police force, and Josh Gad (Beauty and the Beast) plays Mulch Diggums, a kleptomaniac dwarf, who attempts to help rescue Holly. Directed by Kenneth Branagh, the book was adapted for the screen by award-winning playwright Conor McPherson. Branagh brings back several members of his creative team, including Haris Zambarloukos, director of photography; Jim Clay, production designer; Patrick Doyle, composer; and Carol Hemming, hair and makeup designer—all of whom worked on Branagh’s 2017 directorial project, Murder on the Orient Express. The costume designer is Sammy Sheldon Differ (Assassin’s Creed), and the film will be edited by Martin Walsh (Wonder Woman). Artemis Fowl lands in theaters on August 9, 2019.